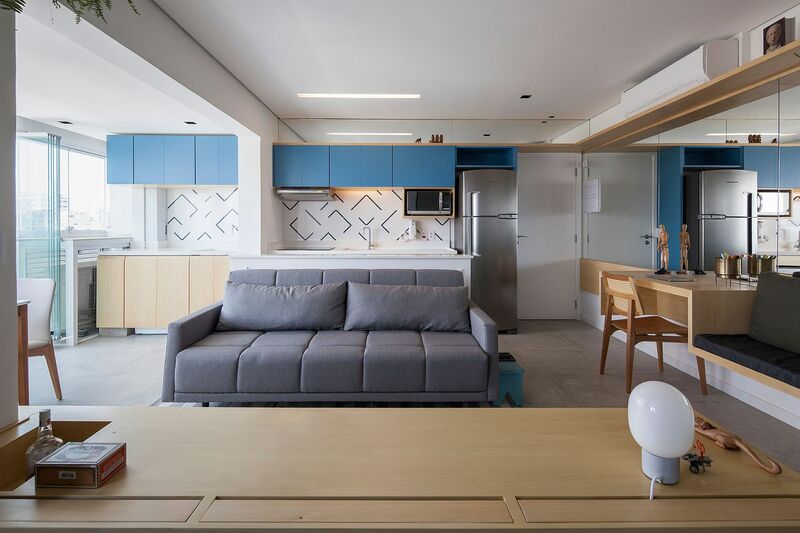 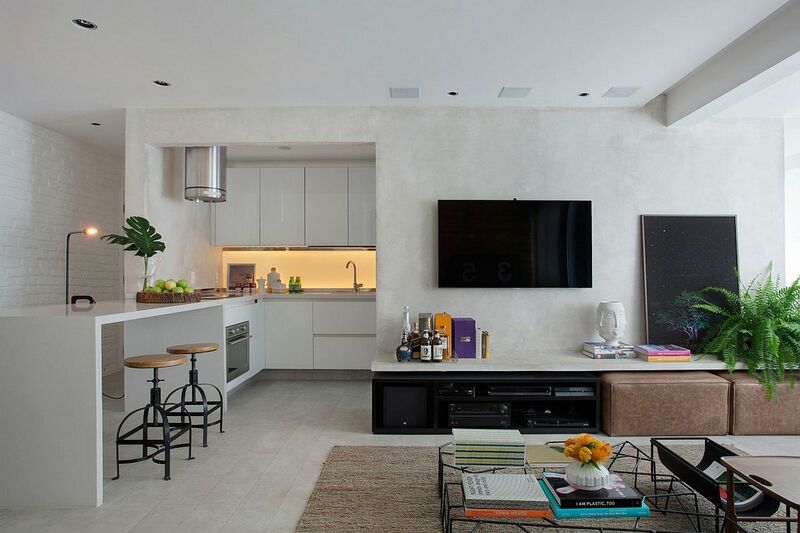 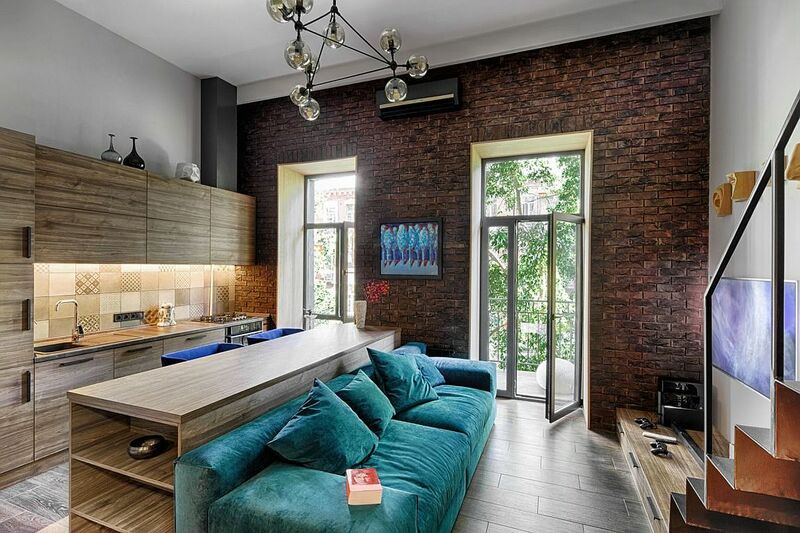 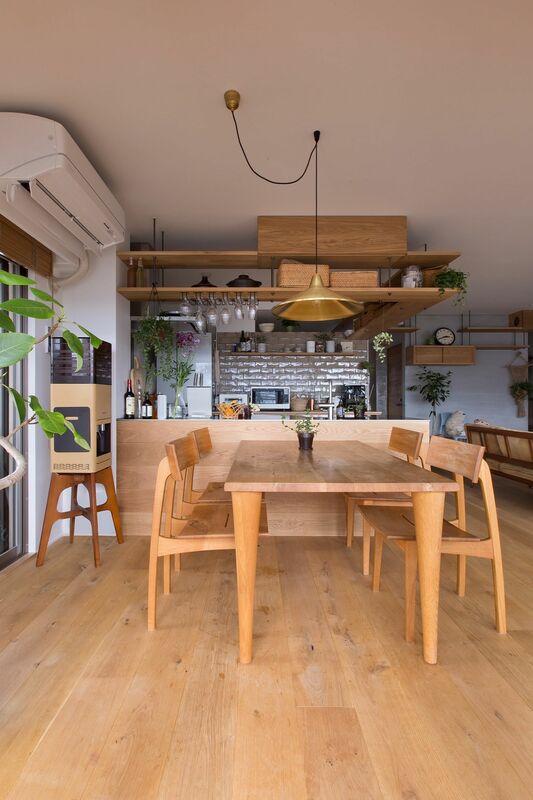 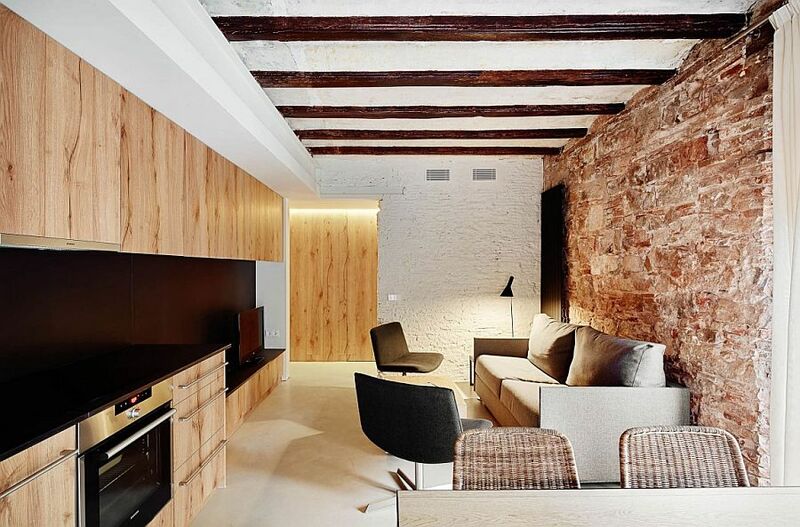 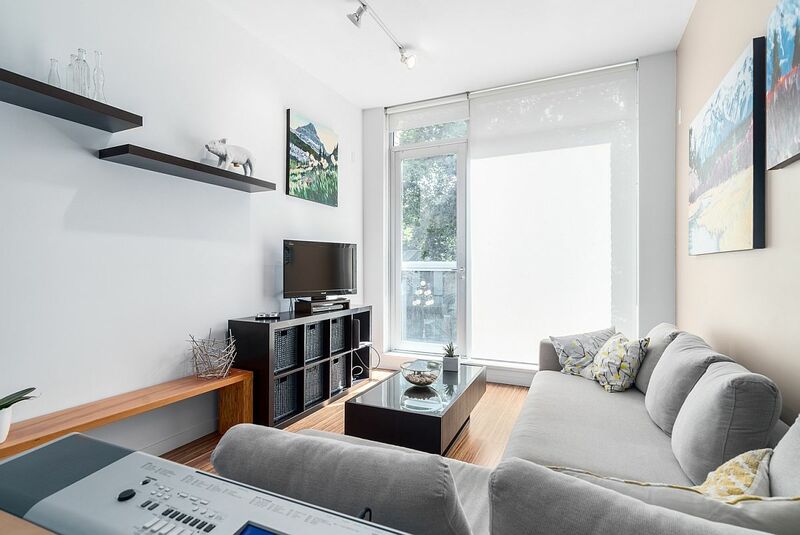 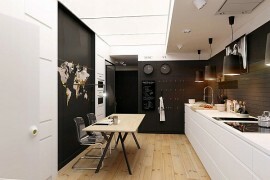 The small apartment can be a constraining living environment when not done right. 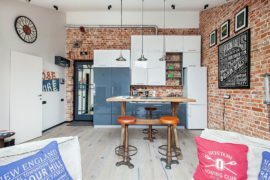 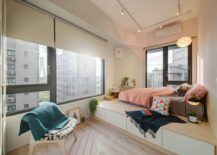 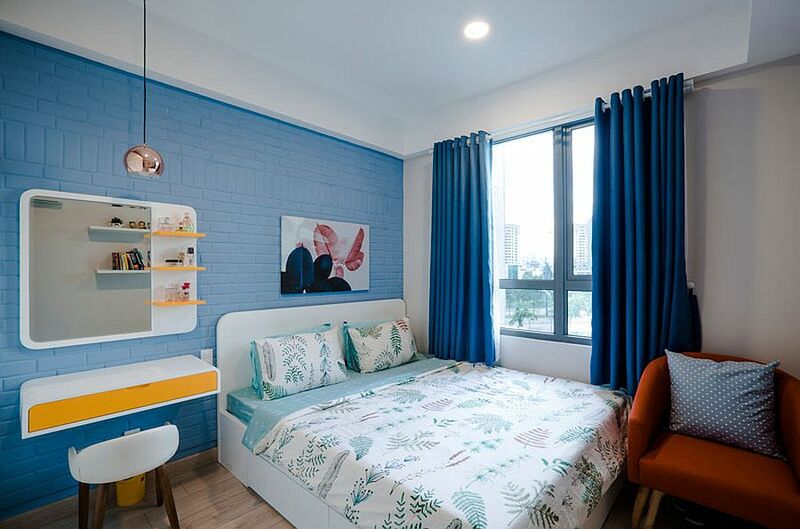 But for those willing to go the extra mile and innovate, even the tiniest apartment can feel spacious, cheerful and efficient. 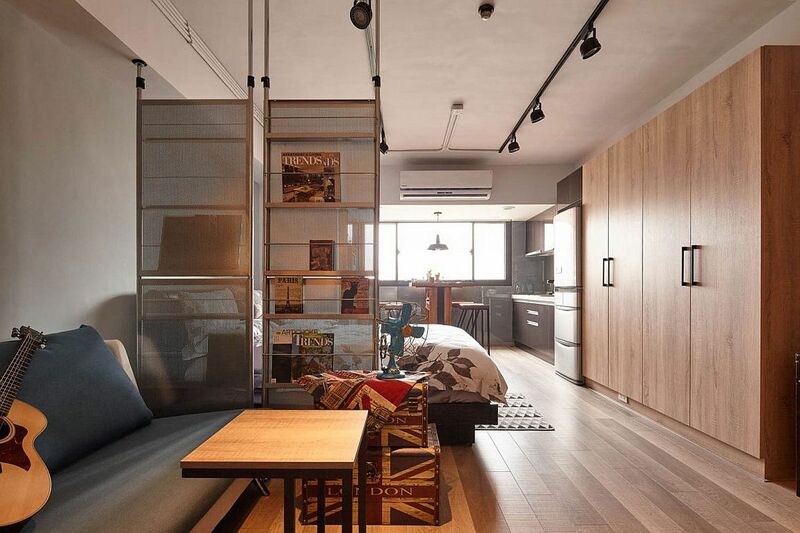 Creating such an efficient environment is all about smart blend of aesthetics and ergonomics. 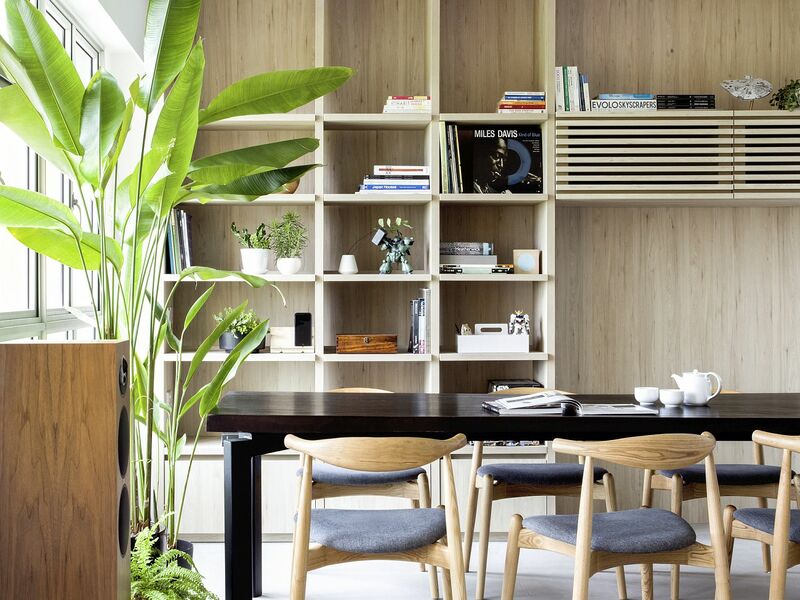 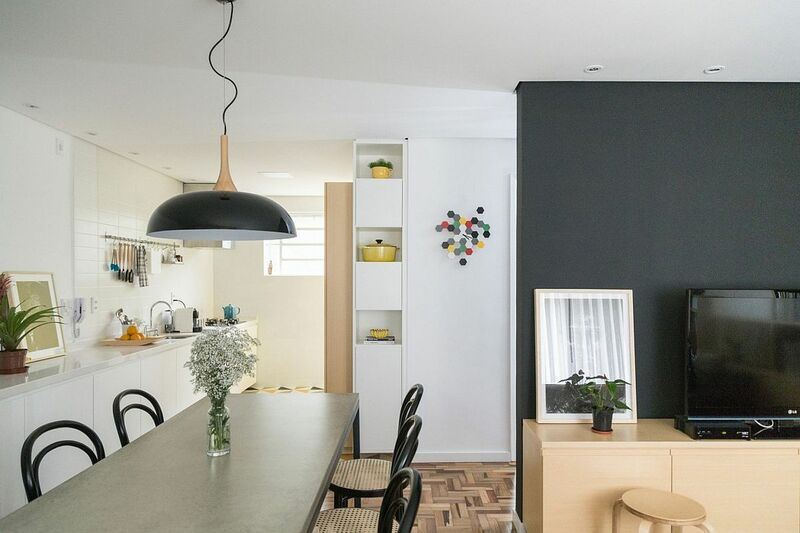 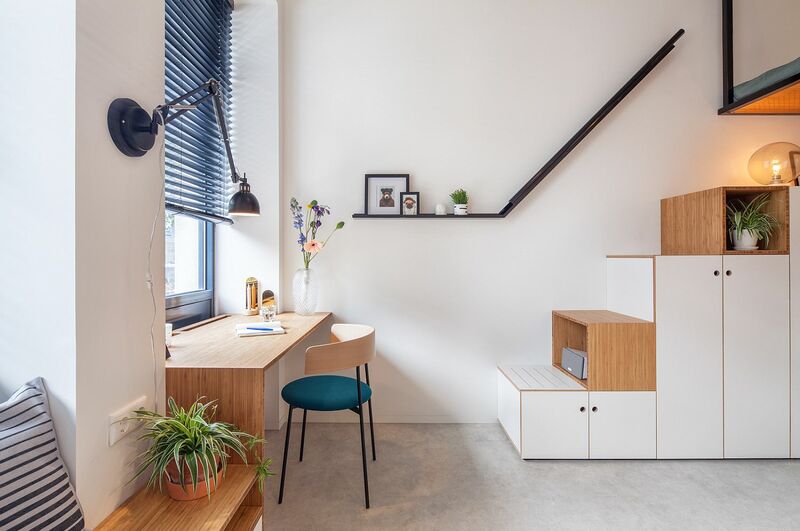 Having already shared with our readers some of the best small apartment living room and bedroom ideas, today we turn our attention towards shelving, storage and space-conscious units that have the potential to completely transform your home. 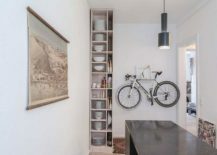 Once again, we stay away from kitchen shelving and cabinets today as we have already given you a glimpse into the world of tiny apartment kitchens. 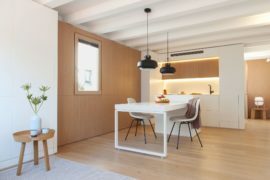 From living room entertainment units that multitask to bedrooms shelves and dining room credenzas; this is a look at the smartest ideas from all corners of the globe. 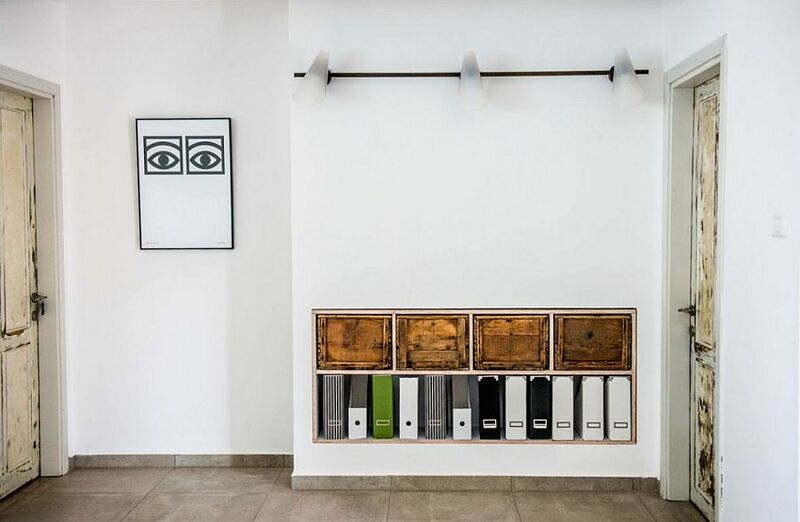 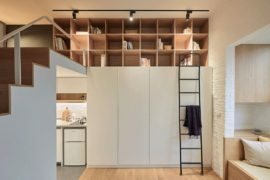 Beyond just conjecture, these are storage and shelving ideas that have been actually used in contemporary living environments. 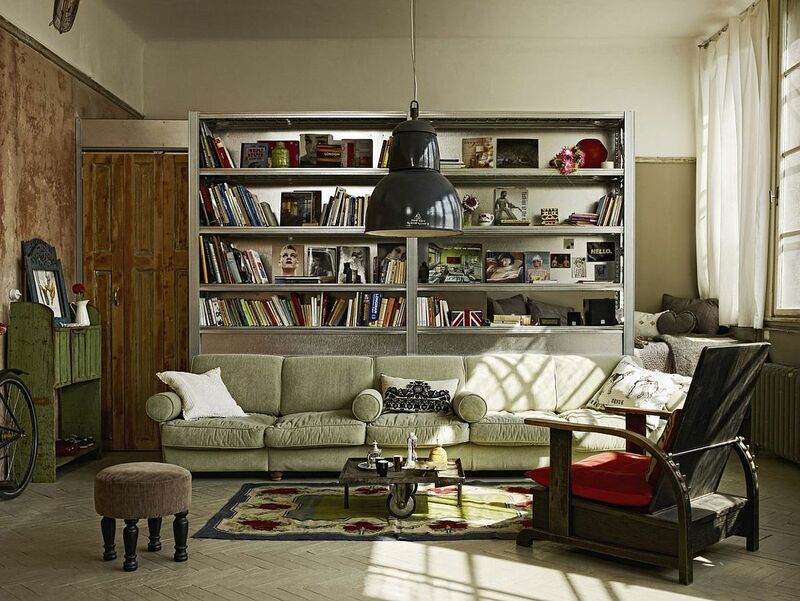 Even if enjoy a spacious home with a large living room, these ideas will come in more than handy. 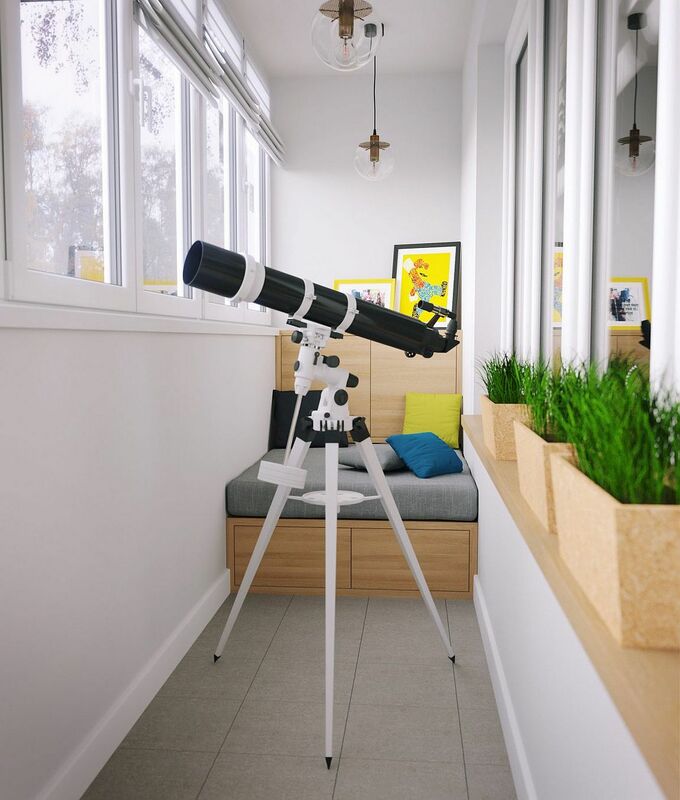 Delver in and discover the very best! 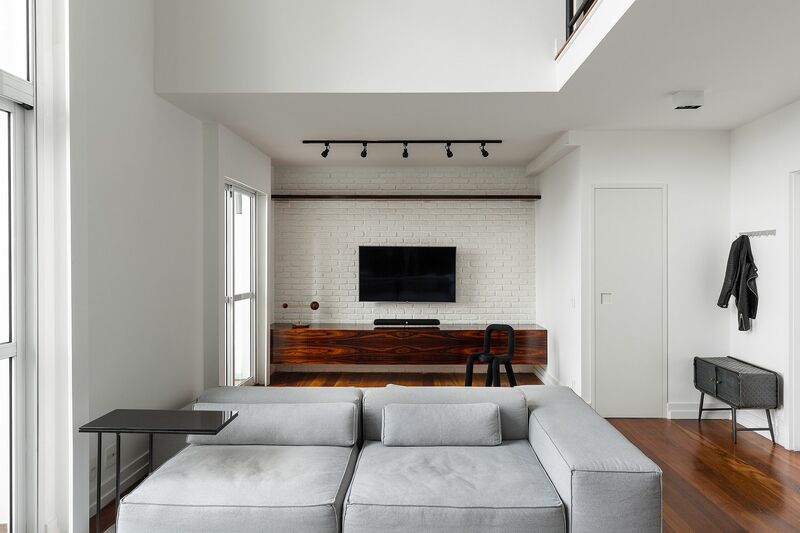 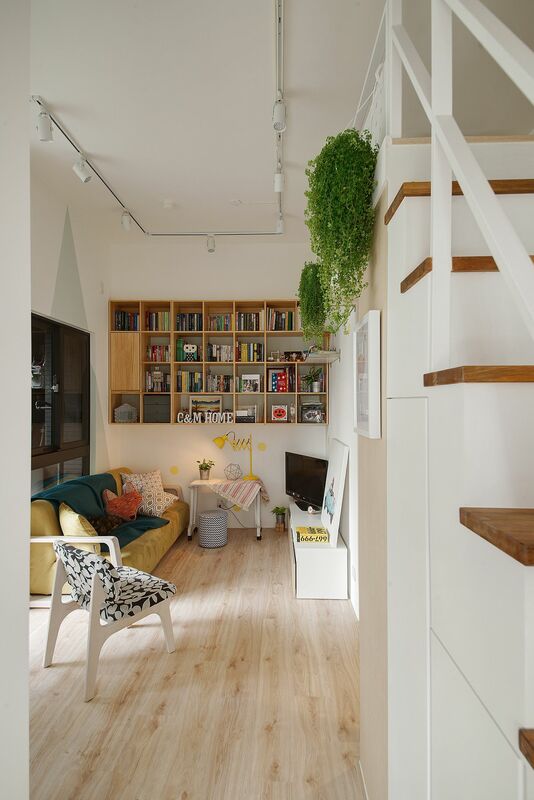 The small living room needs a careful balance between storage units and shelves and an open, charming ambiance that gives you a sense of spaciousness. It is smart to start from the entertainment unit in the living room that can help tuck away all the accessories, cables and everything else you might have in lying around. 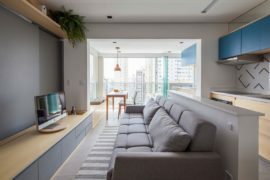 In the tiny living area with limited space, a low-slung entertainment center coupled with the accent wall can become the focal point of the room with ease. 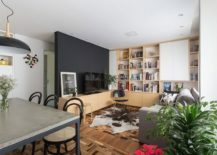 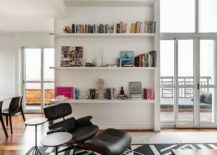 Beyond the entertainment center, there are the bookshelves and open display units that can also be used to shape the functional accent wall in the living room. 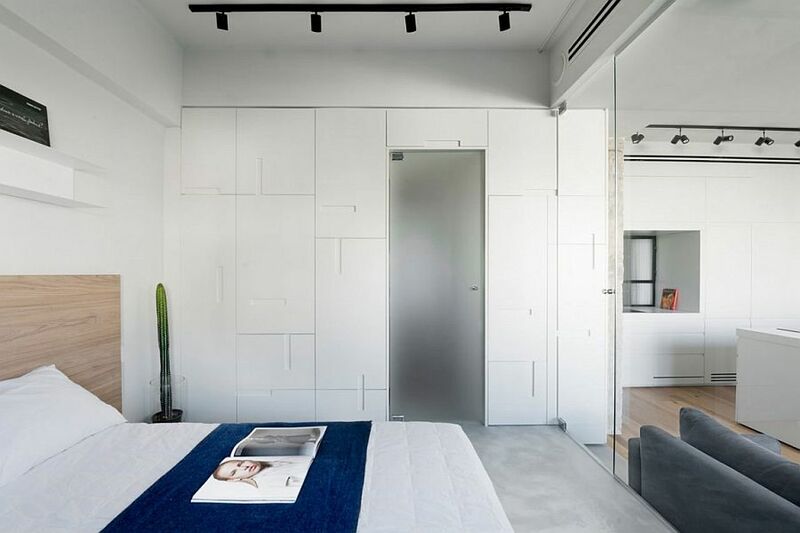 It is best to choose the wall closest to the corner and that is ‘out of the way’ in a sense to give the room a more spacious visual appeal. 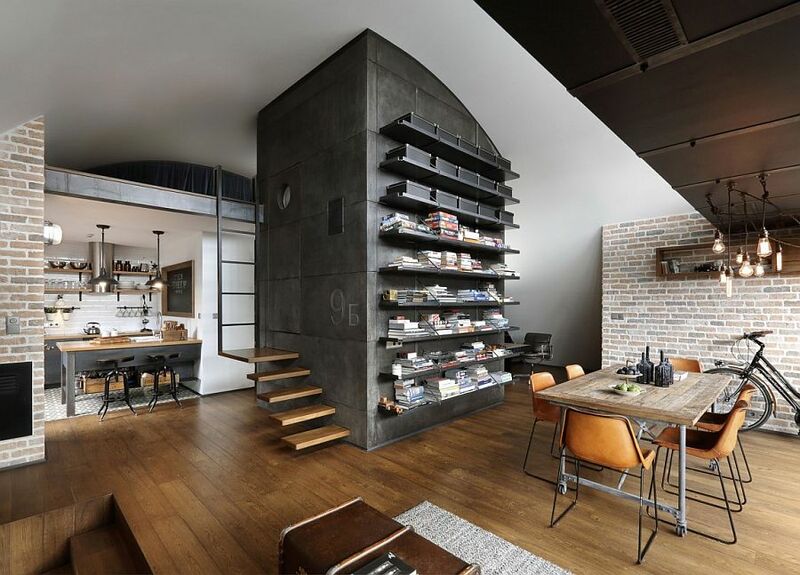 Think Smart and Go Vertical! 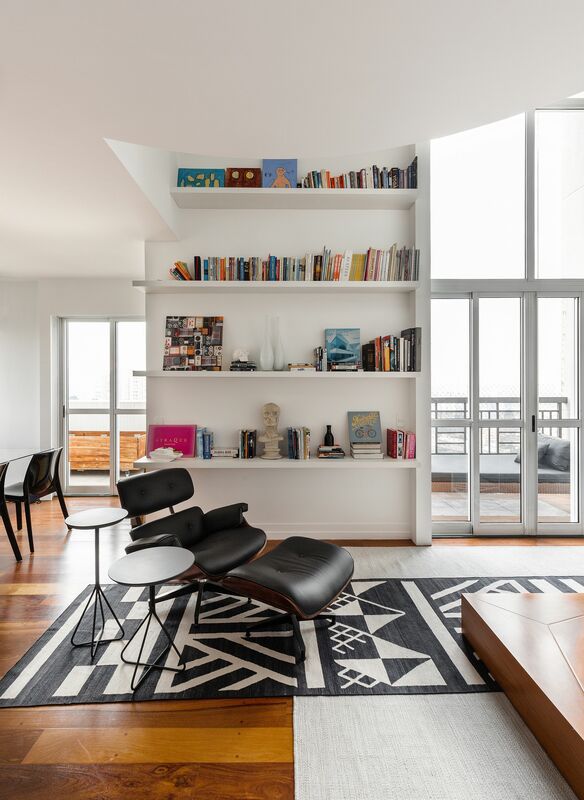 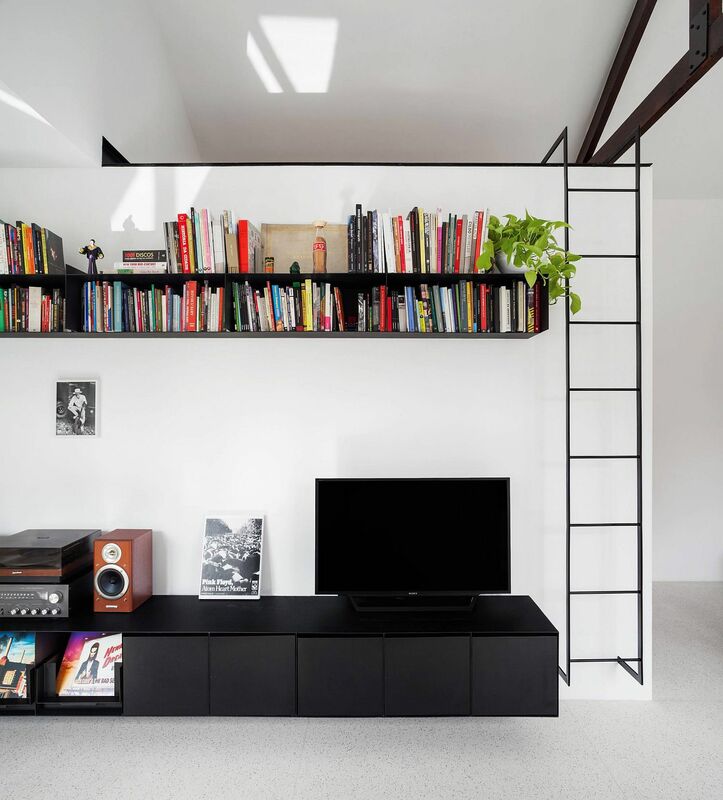 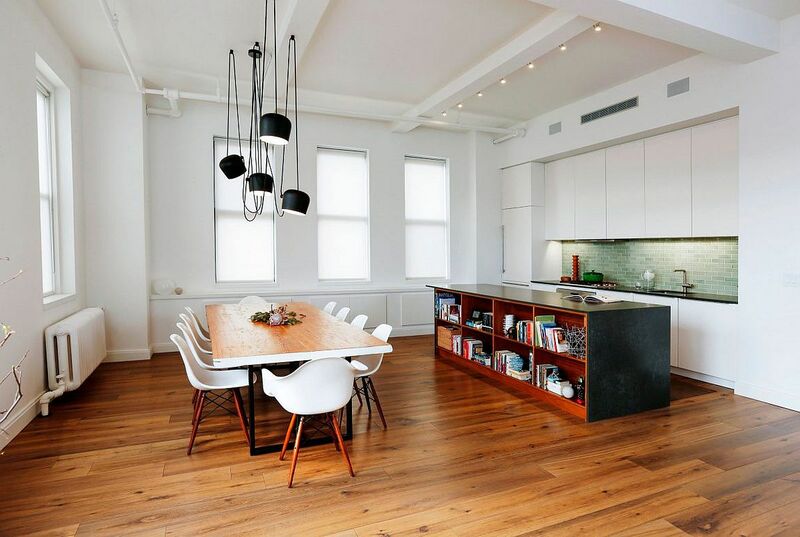 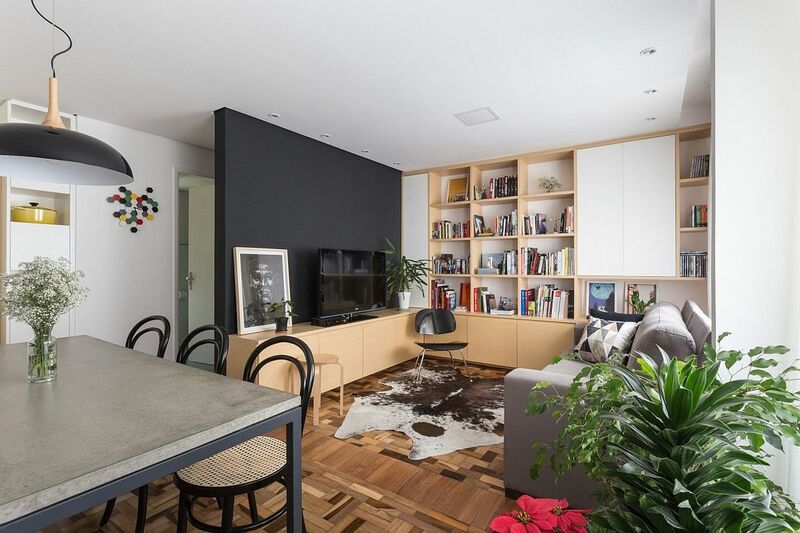 We are big fans of homes where shelving maximizes the vertical room on offer. This is a great way to take the pressure off the floor area in your already small apartment and this strategy works equally well in the bedroom, living room and dining area. 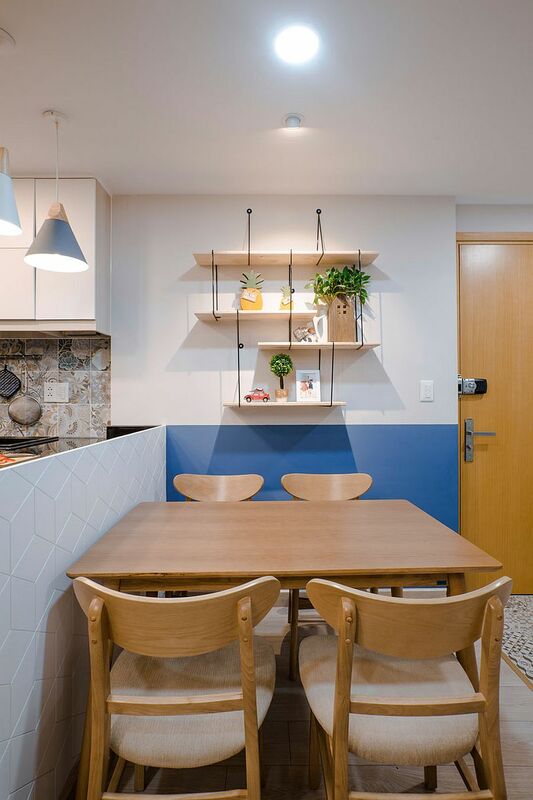 A wall of open shelves filled with books, vases and accessories can also anchor the neutral clad room visually and you can ring in a host of colors without altering the style or theme of the space. 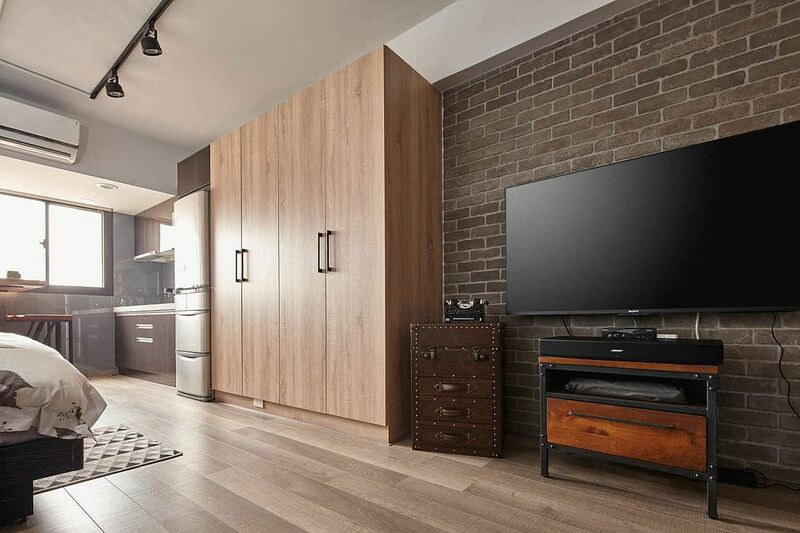 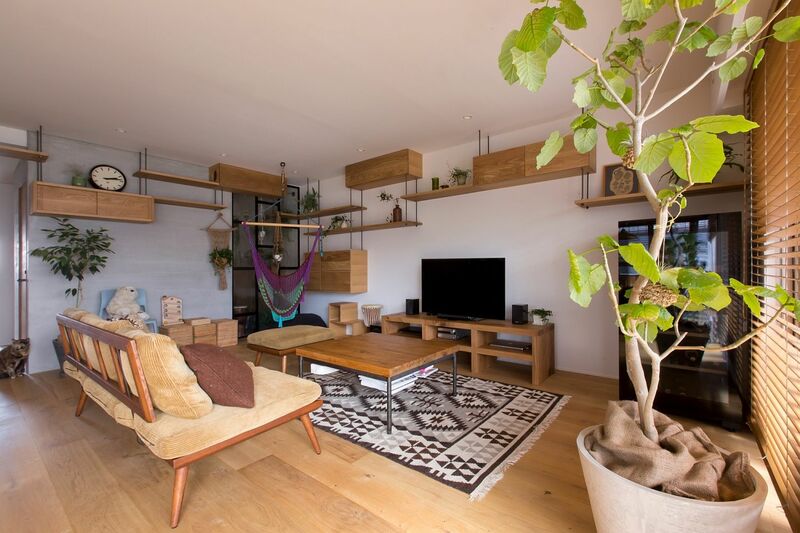 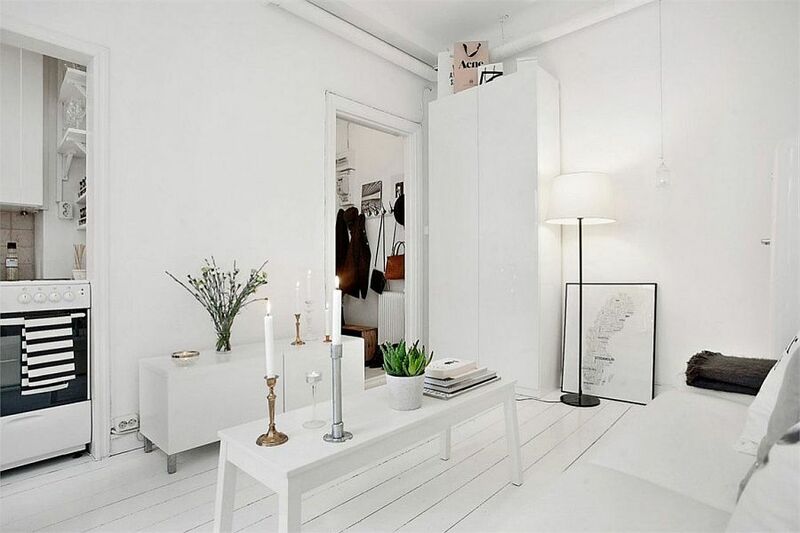 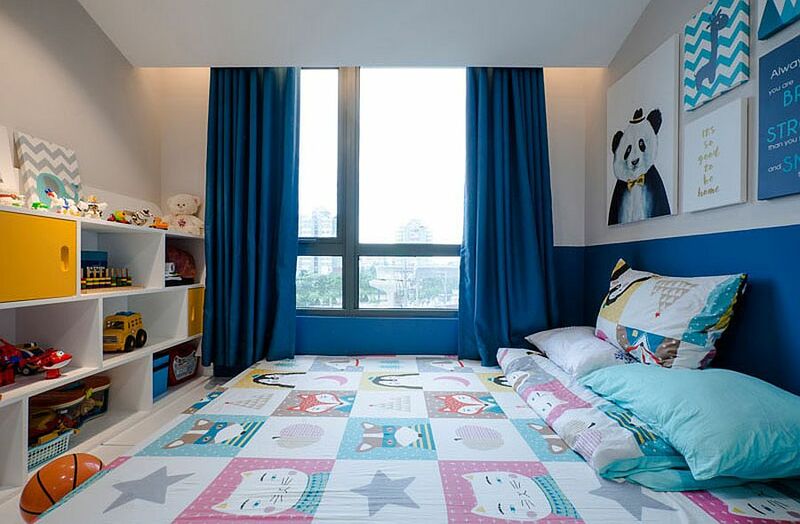 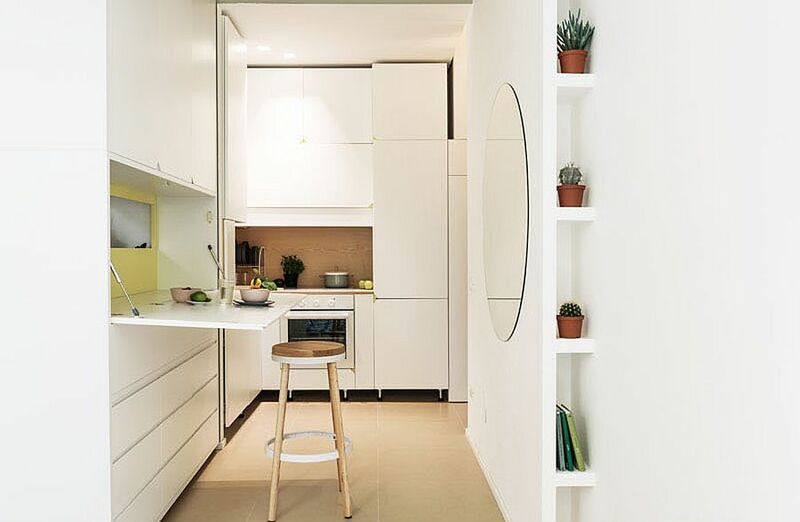 Go vertical when you want to save space in the small apartment! 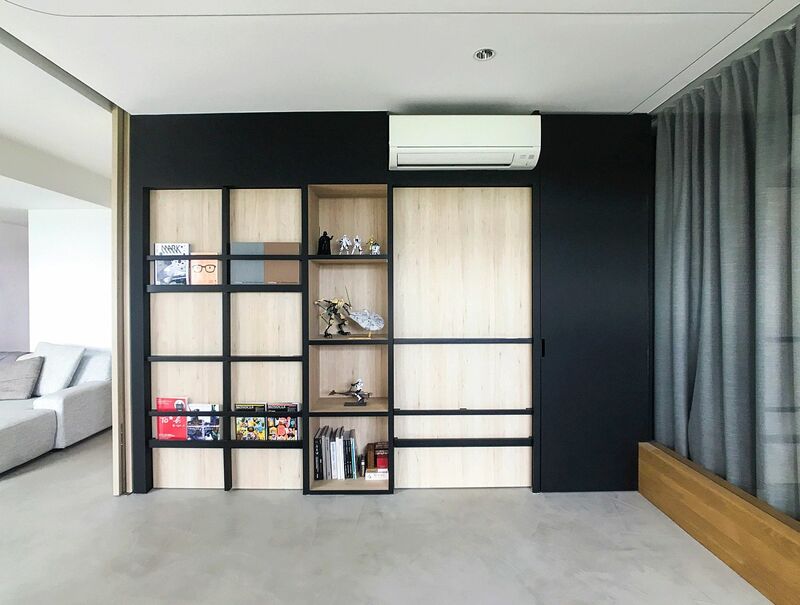 Floating modular units are currently a favorite among homeowners as they help you in creating additional storage space whenever needed. 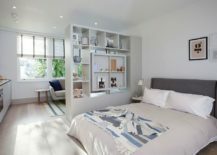 If you fall on the messy side of the spectrum, then you can opt for closed floating cabinets in the bedroom to give it a more organized appeal. 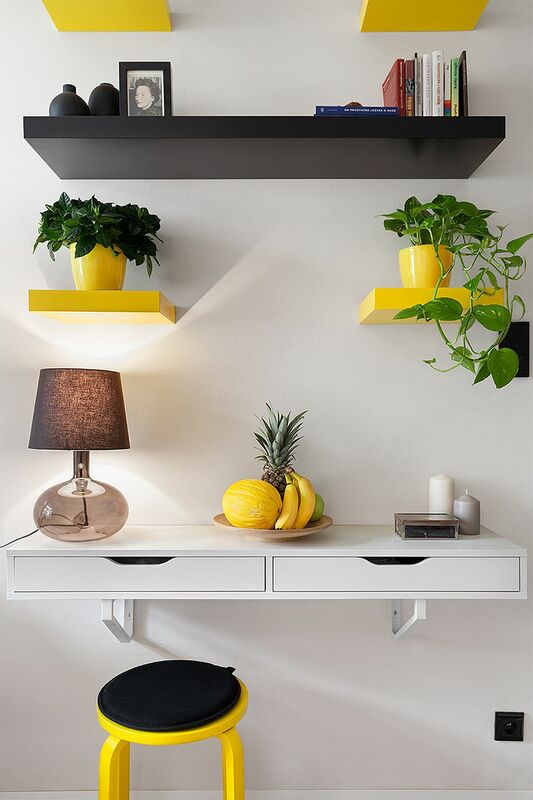 Those wanting to fashion a lovely display inevitably would pick the floating modular shelves that are shaped like a box or ones that are much simpler and sleek. 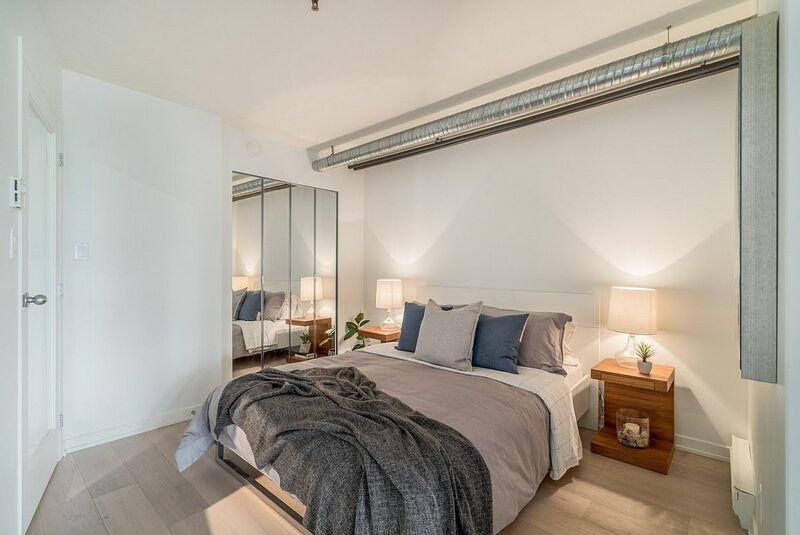 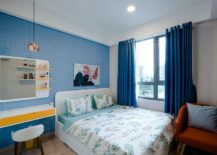 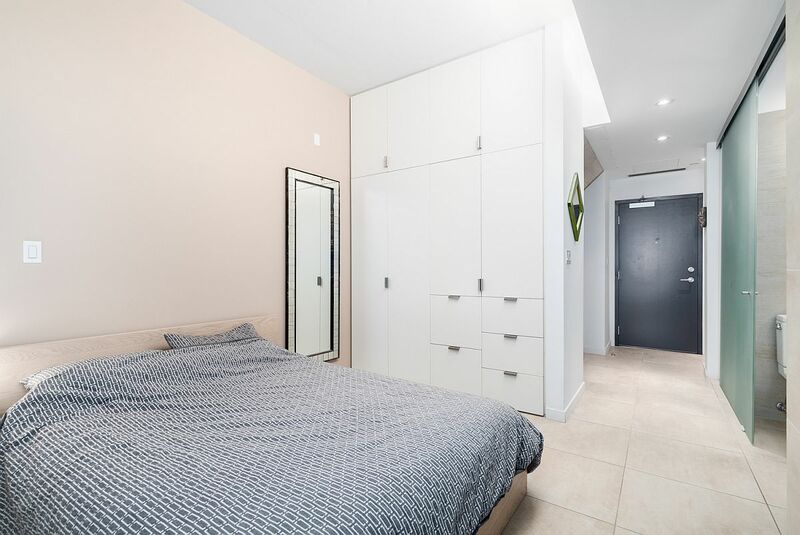 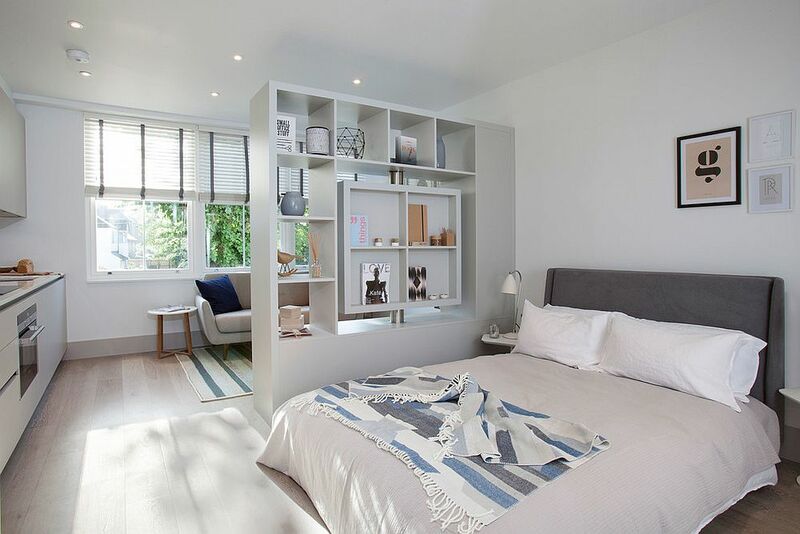 In the small modern bedroom, cabinets and wardrobes that blend in with the walls and more or less disappear into the backdrop are almost a must. 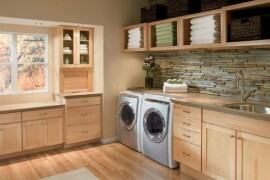 White and lighter shades of gray come in handy here along with custom cabinets that have a handle-less design. 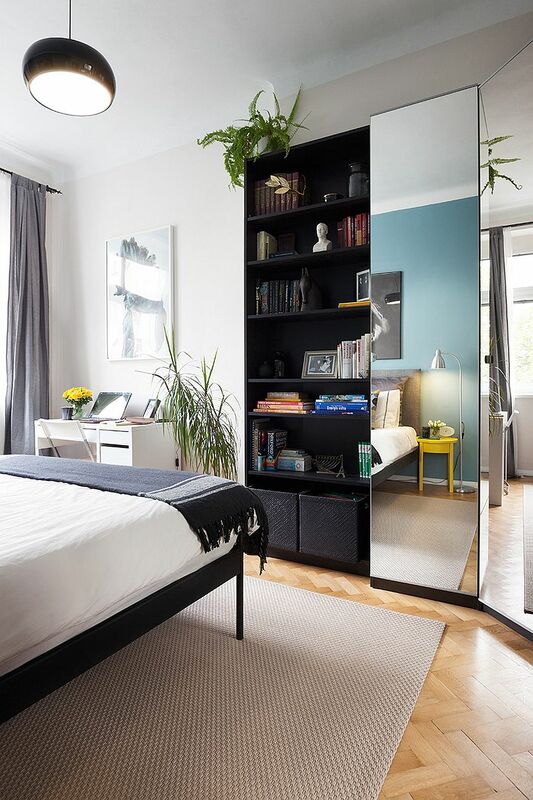 Wardrobes with mirrored doors also are a great way to brighten the tiny bedroom even while giving you a smart mirror in the corner! 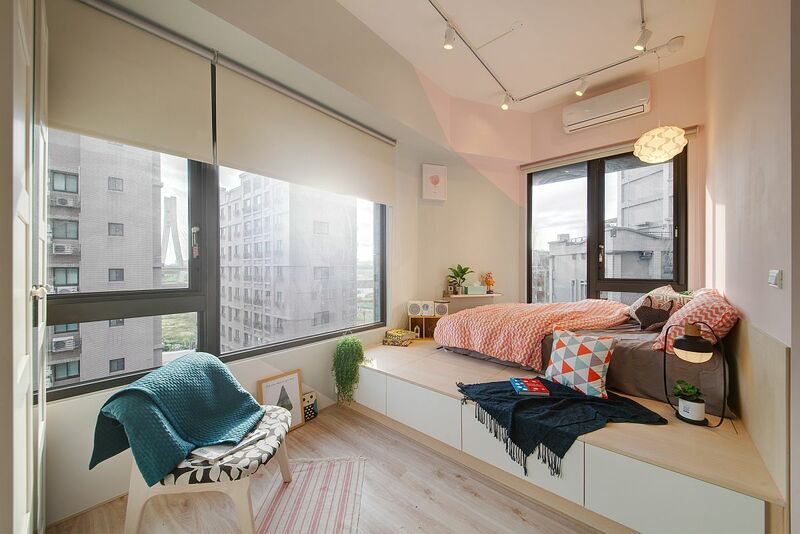 Bed with storage space underneath comes in pretty handy! 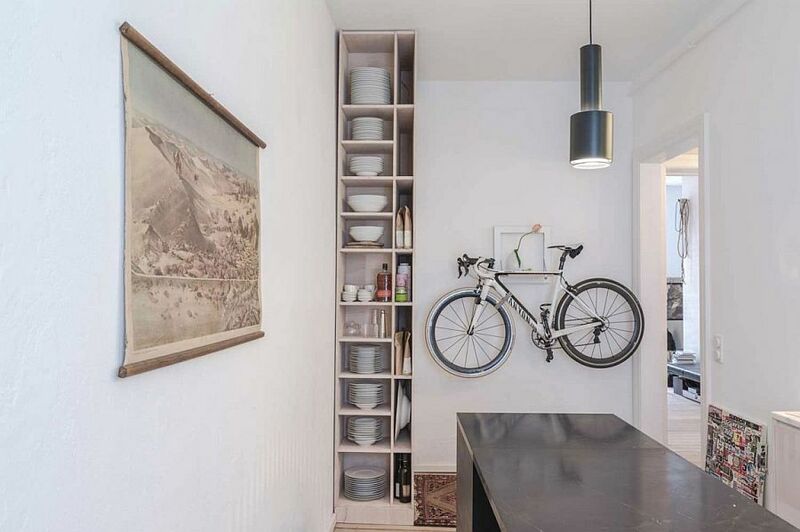 Yes, adding space-savvy shelving and cabinets in the tiny apartment is great. 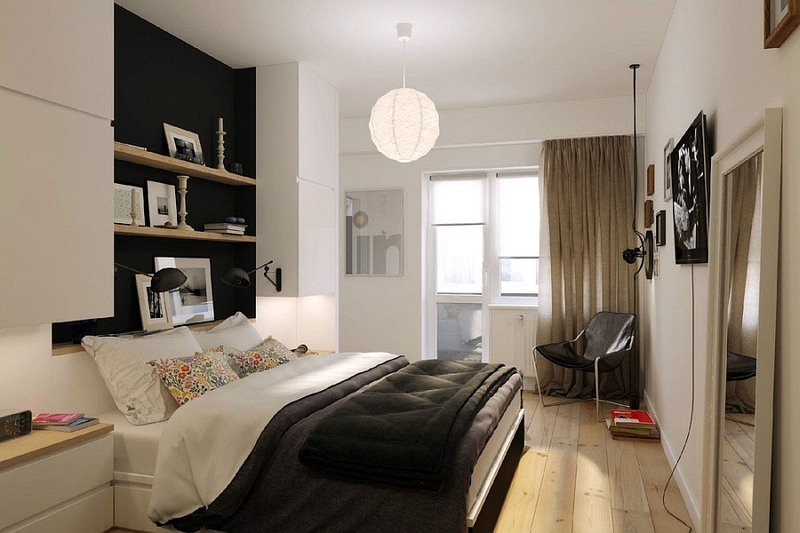 But what if you could double this advantage by maximizing the corner that is otherwise forgotten! 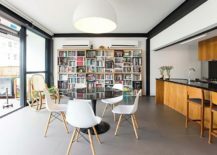 Corner shelving and storage units come in a wide range of designs and you can choose from a host of diverse options – the slim, curvy floating shelves, the closed cabinet in the corner or the tall, lean shelf fitted with strip LED lighting; take your pick and notice the transformation. 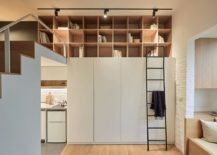 Finding the right smart shelving idea or storage unit for your modest apartment depends largely on both your chosen style and specific needs. 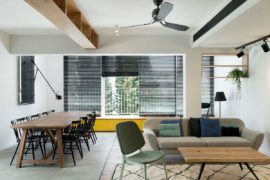 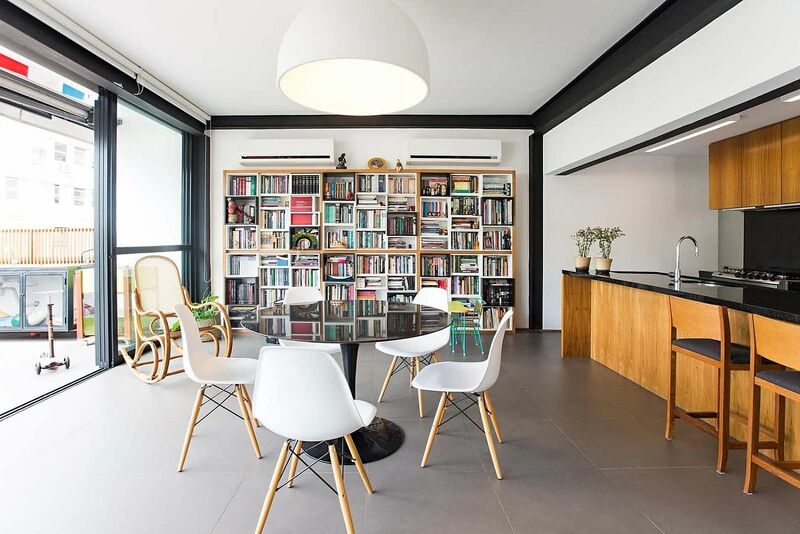 In an open plan living area where you want to delineate space without hindering the flow of light, a glass partition with built-in book rack is a smart option. 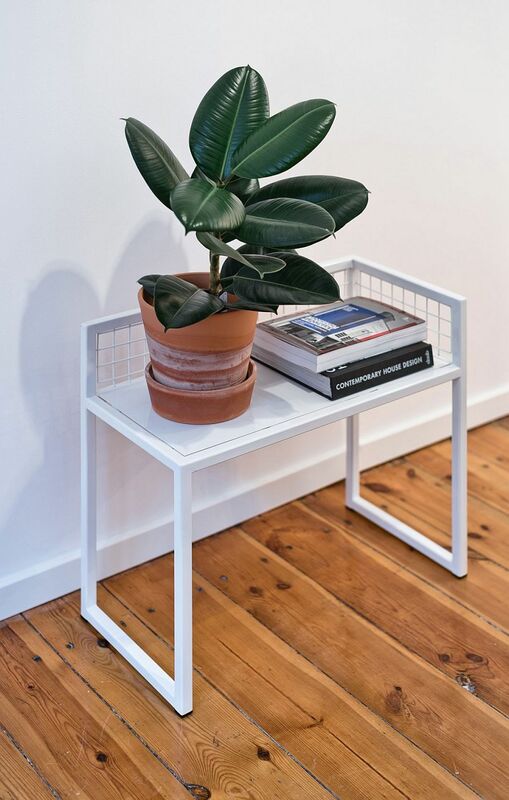 On other occasions a small stand that holds a plant and some books might be all you need. 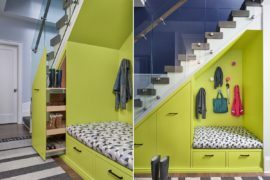 Vintage suitcases that are repainted and act as the coffee table, smart fold-out tables with niches that can hold stuff and benches with built-in storage – for the creative, the options are endless! 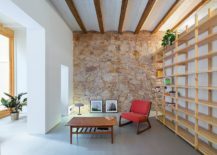 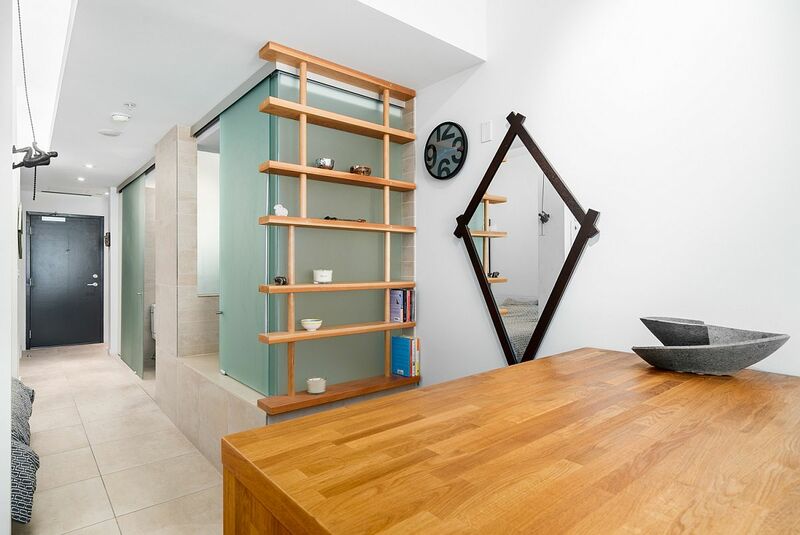 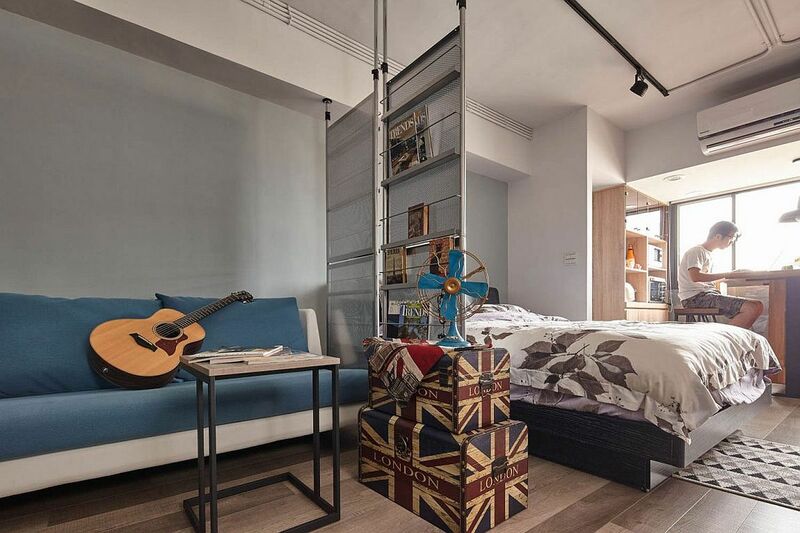 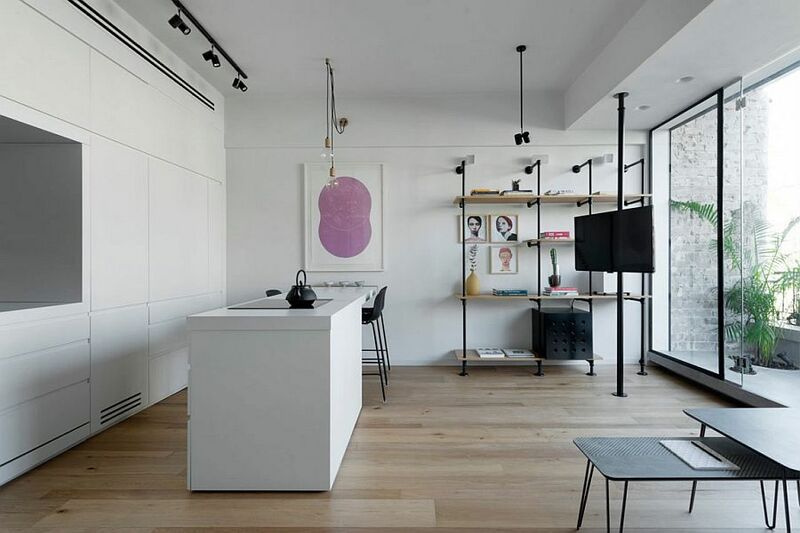 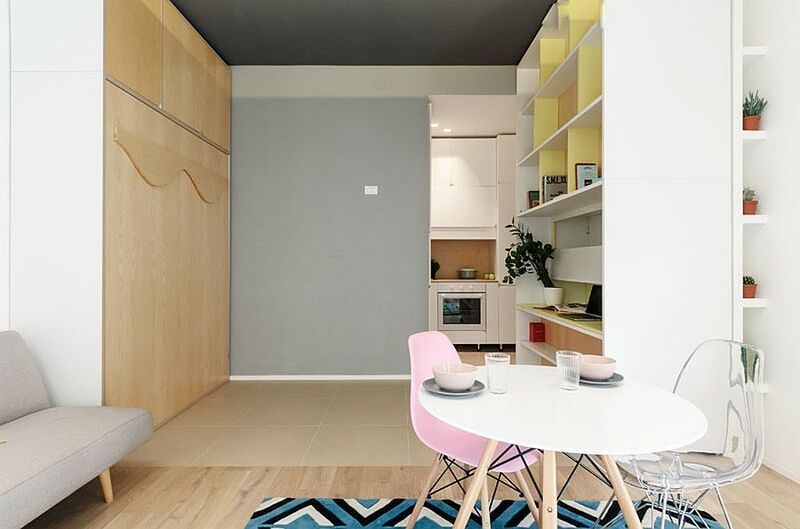 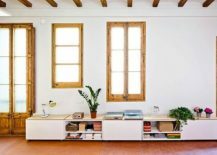 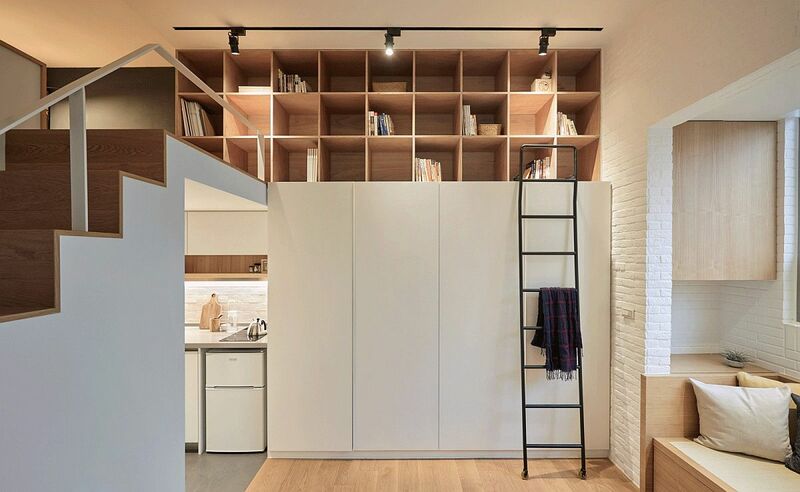 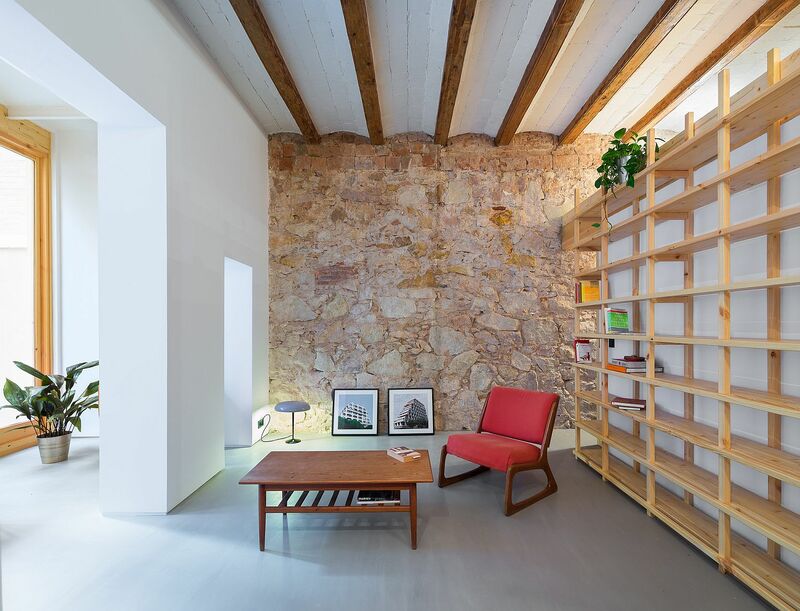 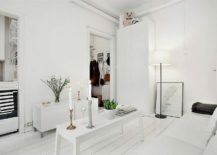 Innovative apartment turns even doors into shelving space!